There were several important reports on the economy released after this morning’s big update on the U.S. labor market. 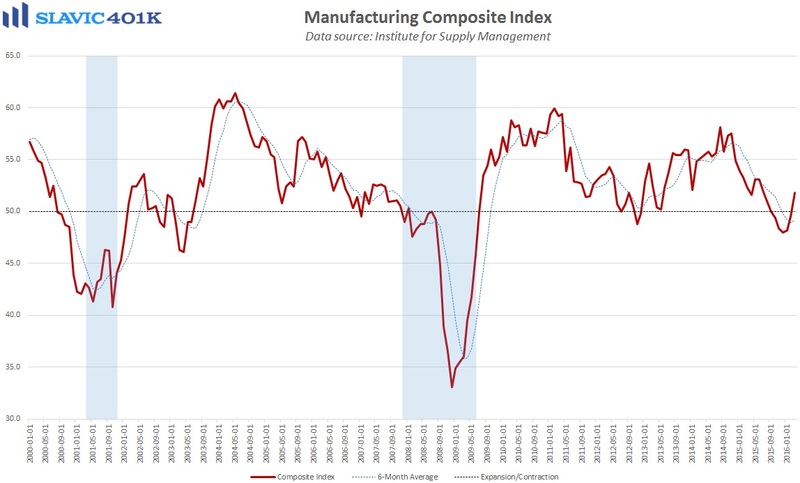 First, the purchasing managers' manufacturing index (PMI) from Markit Economics lifted to 51.5 in March, in line with expectations but still one of the lower readings of the past few years. Under the hood, output growth failed to bounce from February’s 28-month low but new business volumes picked up and employment firmed. Tim Moore, a senior economist at Markit, added that “subdued client spending patterns within the energy sector, ongoing pressure from the strong dollar, and general uncertainty about the business outlook were cited as factors weighing on new order flows in March.” The Institute for Supply Management (ISM) manufacturing index, also released this morning, ended March at 51.8, better than expected and the first expansionary (50.0 or higher) reading since September. Measures of new orders, production, and trade all improved last month but employment softened. Of the 18 manufacturing industries, 12 reported growth in March. Next, a report from the U.S. Census Bureau showed that construction spending in America grew at an adjusted annual rate of $1,144.0 billion in February (lagged), a 0.5 percent decline compared to the prior month and worse than economists had expected. However, the January gain was revised much higher to 2.1 percent, and construction spending is now up 10.3 percent on a year-over-year basis, one of the best annual growth readings of the past decade. Recent headline improvements have been helped by an uptick in infrastructure spending. 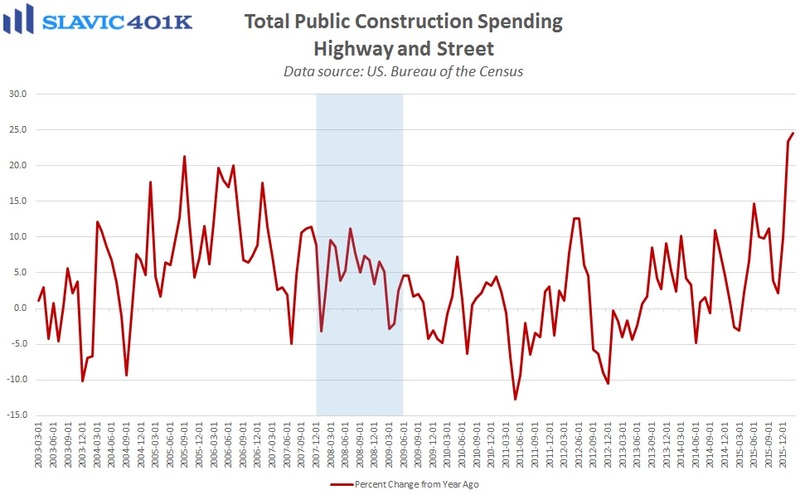 For example, public construction outlays for highways and streets surged by 24.5 percent over the past year, the fastest pace of annual growth on record. 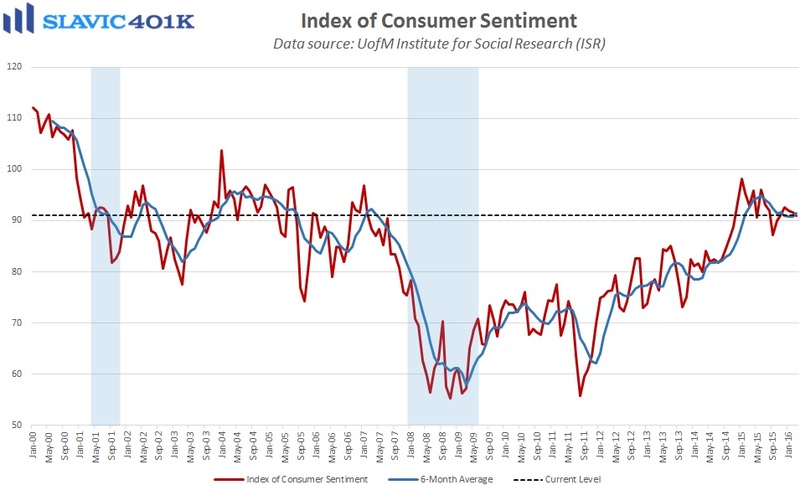 Elsewhere, the popular consumer sentiment index from the University of Michigan fell from 91.7 in February to 91.0 in March, the third sequential decline in a row but up slightly from the mid-month (flash) reading. Consumers’ views of both current and future conditions deteriorated in March, likely due to survey respondents' general anticipation of higher gas prices and unemployment. Richard Curtin, director of the Michigan Survey of Consumers, added that consumers believe a “slower pace of economic growth will more than likely put an end to further declines in the unemployment rate.” Expectations for real wage growth generally declined last month but more Americans believe that their financial situation is better off now compared to a year ago. Consumer inflation expectations also lifted in March.